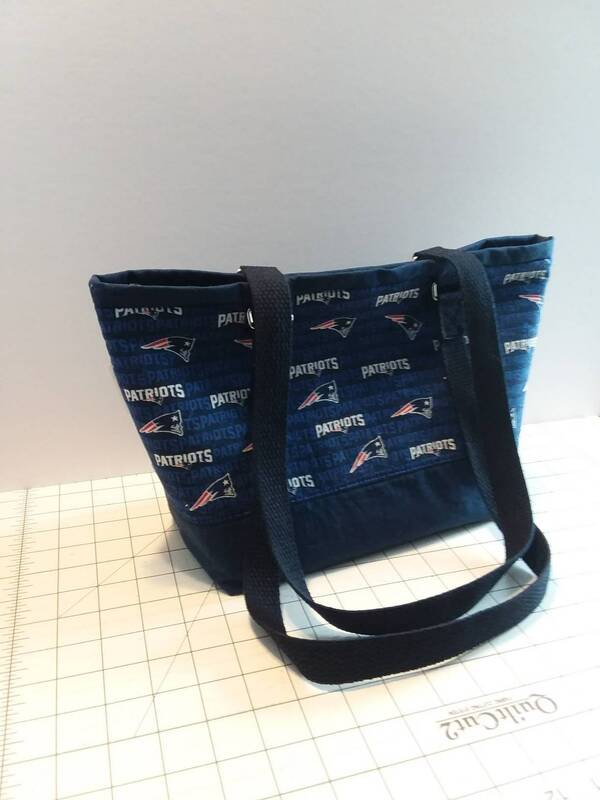 This bag sports NFL New England Patriots fabric with a dark navy blue base. 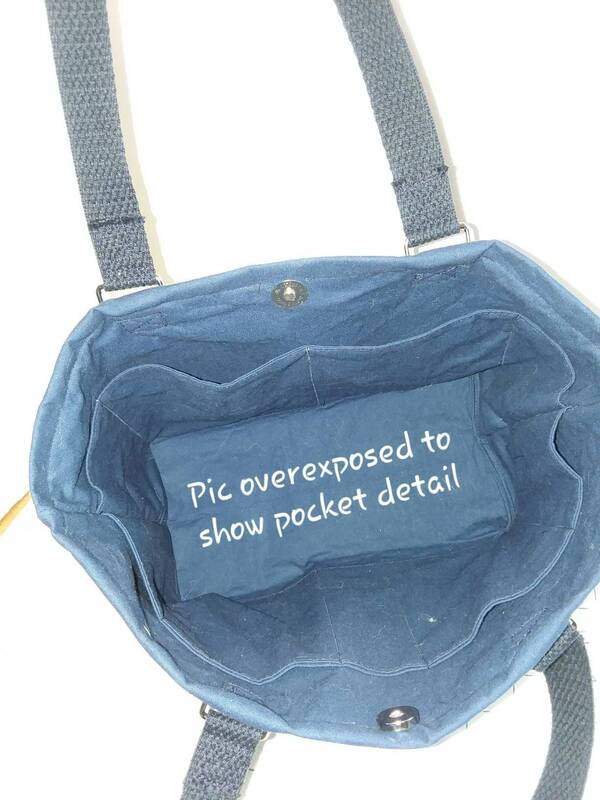 The interior has 9 pockets. 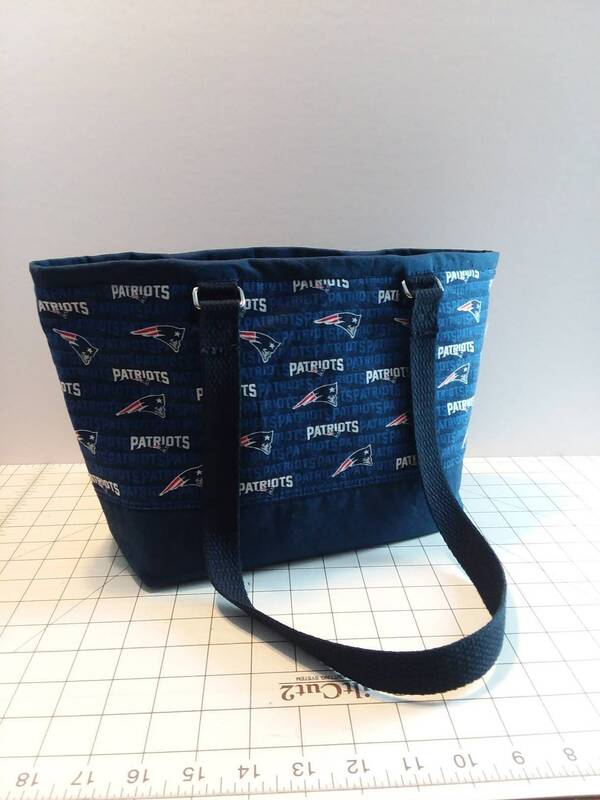 The 28 inch handles are woven cotton webbing. A magnetic closer keeps stuff from falling out of the bag. 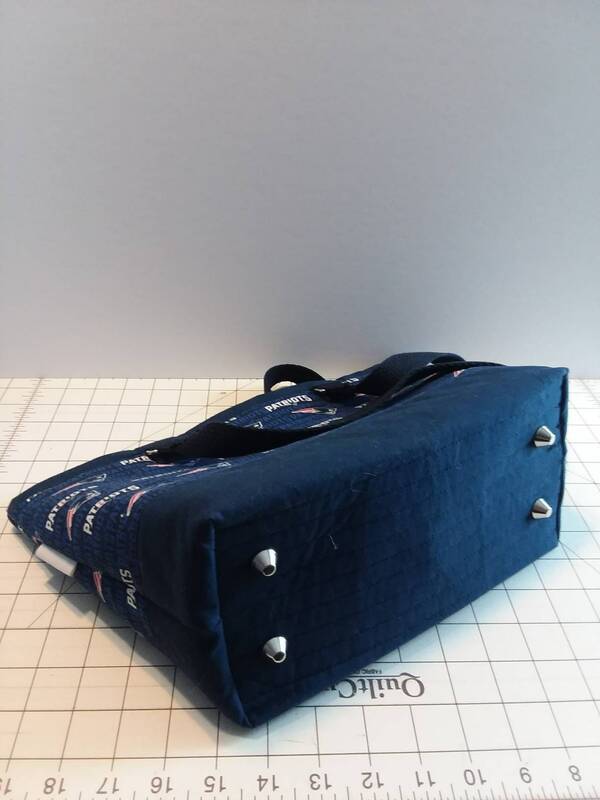 Purse feet on the base keeps the bag from sitting directly on surfaces. Dimensions: 10" wide X 8 1/2" tall x 4" deep.